Two-tone perfection! 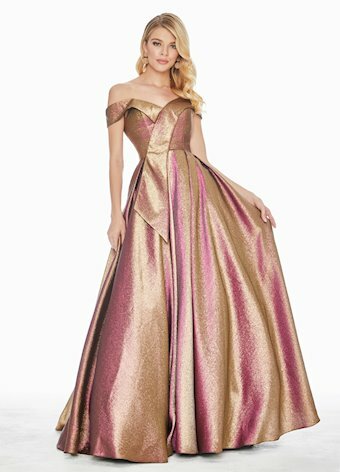 Wow in this two-tone metallic brocade off shoulder ball gown. The two-tone fabric is a rich fuchsia gold color and the bustier has a wrap off shoulder detail. The skirt is complete with pockets.